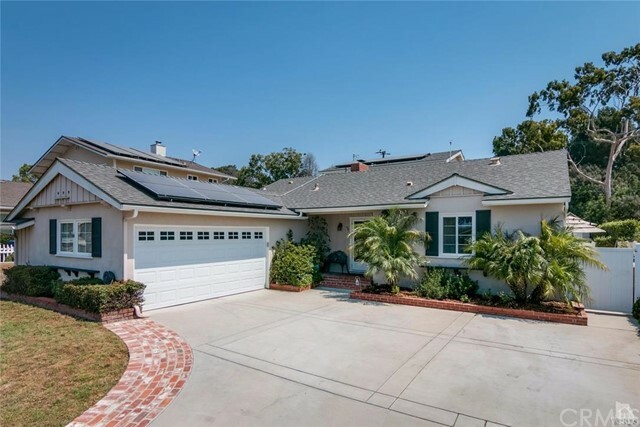 TURN KEY - light, bright and beautifully remodeled home! This home offers 4 bedrooms, three of which are comfortably sized and downstairs, Master Suite upstairs with walk in closet and viewing balcony! Attention to detail in every room- remodeled kitchen and all three bathrooms, lovely hardwood flooring, carpet in great condition, recessed lighting in almost every room, crown molding, spacious family room , office area, nice yard to entertain or for kids to play! TRULY a MUST SEE property! Located close to shopping, great schools, close freeway access, minutes to the beach, parks and mountains! This home is the envy of the neighborhood!